Before you can begin your driving lessons you need a Provisional Driving Licence. To apply for this you must complete an application form. You can also do this online by clicking the link at the bottom of the page or you can wander down to your local Post Office and pick up a form. 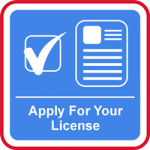 You can apply for your provisional licence up to 3 months before your 17th birthday, however it will not become valid until you are 17. It takes approx 4 weeks for your application to be processed! The Theory test is made up of 2 parts, the first being a multiple choice section. The second part is a hazard perception test which records your responses to a series of short video clips depicting real life hazards that you may meet while driving. 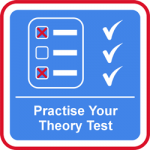 You need to pass both sections to successfully complete your theory test. We suggest that in the beginning you combine your theory study with the early part of your driving so you have the added advantage of having your instructor there to help you out with anything you are unsure of. 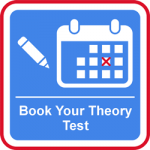 You can book your theory test by clicking the link at the bottom of the page, or we can book it for you. Before you do your Practical Test your instructor would have carried out a number of mock tests so you’re all ready & know what to expect! 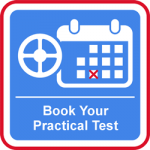 Your instructor can book your practical test for you, or you can book your practical test by clicking the link at the bottom of this page. The test is approximately 40 minutes long. The first part will be where the examiner checks your details such as licence and eyesight. Its then time to drive off where the examiner will be testing you on your general driving ability. You’ll also be asked to do one of 3 possible reversing manoeuvres The ‘reverse around a corner’ and ‘turn-in-the-road’ manoeuvres are no longer tested, but you should still be taught them by your instructor. 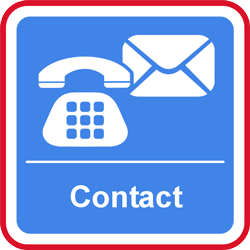 During your test you may also be asked to carry out an emergency stop. Twenty minutes of the test will be Independent Driving – roughly half the test. During the independent driving part of the test, most candidates will be asked to follow directions from a sat nav. The examiner will provide the sat nav and set it up. You won’t need to set the route – the examiner will do this for you. So, it doesn’t matter what make or model of sat nav you practise with. You can’t follow directions from your own sat nav during the test – you have to use the one supplied by the examiner. You’ll be able to ask the examiner for confirmation of where you’re going if you’re not sure. It won’t matter if you go the wrong way unless you make a fault while doing it. One in 5 driving tests won’t use a sat nav. At the end of the test the examiner will spend a few minutes completing the form. You can commit 15 driving faults and still pass, but 16 or more will result in a fail. If you commit one serious or dangerous fault you will fail automatically. You will then be told the outcome! If you have passed – well done! The examiner will offer you a detailed debrief. It is a good idea to have your Instructor present, as you may not take it all in straight after your test. If you haven’t passed don’t worry! With more practise your driving will just get and better! Go home, relax and re-book! The advanced driving test is an exam for motorists who can drive to a skill level substantially above average, and candidates who passed are called advanced drivers. Our specialist Advanced driving training courses are designed for individuals that wish to take their driving to a higher level with one-to-one training at a location and time that suits you.